Add this to the things we love list! 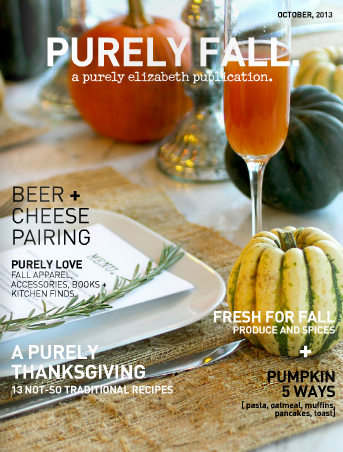 It's the latest magazine from the ladies behind Purely Elizabeth foods. Inside the magazine, there are tons of uncomplicated recipes featuring seasonal ingredients, a story decoding pumpkin spice and even a feature on tips for your first race (thanks to Bec!). Make it mandatory bike trainer or commuting reading tonight, or save it for the weekend and cozy up with a cup of mulled cider and start planning for Thanksgiving. Here's the link to view the entire issue on your phone or pad. For Bec's story, flip to page 12.